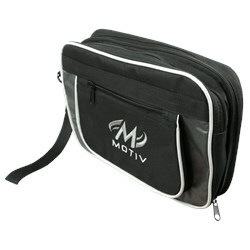 Need a bag for all those small bowling accessories like tape, scissors, and bowling tools? The Motiv Accessory Bag is your answer! Now with 2 large pockets and 1 smaller pocket, there is room for all of your small accessories! 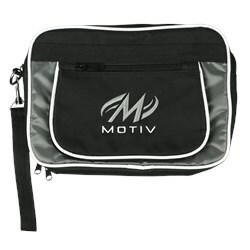 Due to the time it takes to produce the Motiv Accessory Bag Black/Silver ball it will ship in immediately. We cannot ship this ball outside the United States.